During the summer months, I wanted to find something for J to do to keep her learning while she's having fun. She thrives on learning and tends to get bored and naggy when she's not challenging her mind or learning something. So I was really excited to find Little Passports to help us learn a little bit about the world while we are having fun this summer. Little passports is a subscription box that was created by two moms, in 2009, hoping to teach their kids about the world and all the different cultures. They now have a business that helps kids all over the world learn about different cultures and places. We got our first box in June and as soon as we opened it, the girls were so excited to find out what was inside and to start learning. We started out by spreading out the map and checking out everything inside. 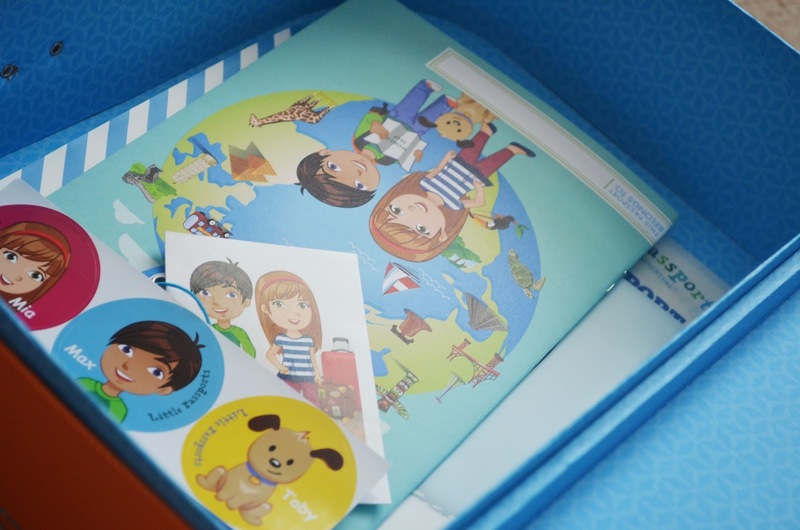 In your first box, you get a world map, an activity book, name tag, stickers and stickers to put in your activity book and on your suit case, and a list of things you'll be getting in the coming months and a letter from the creators telling you a little about what to expect. We have been taking a couple of mornings a week to spend some time looking at Little Passports and learning about different countries. J loves doing the activities in the activity book and talking about different parts of the world. Usually we will lay the map out and M and J will pick what they want to talk about that day. While the other boxes have a little bit more information about individual countries, the first one has a few activities to do that go with each. So after they pick a country, they do an activity and I'll look up a little bit of information to teach them about that place. We will go more in depth in the coming months, but they really like getting the little bits of information to start with. Her favorite, so far have been talking a little bit about America (we did that for the week of the 4th, so she was pretty excited about learning the pledge and singing the national anthem). She's also very interested in Europe and Italy in particular because her grandparents recently got back from Italy. 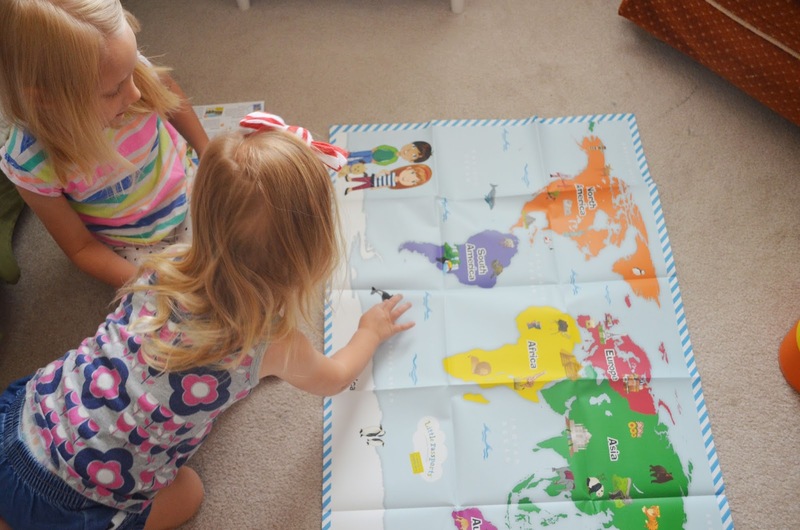 The girls get so excited to learn more about different places in the world. 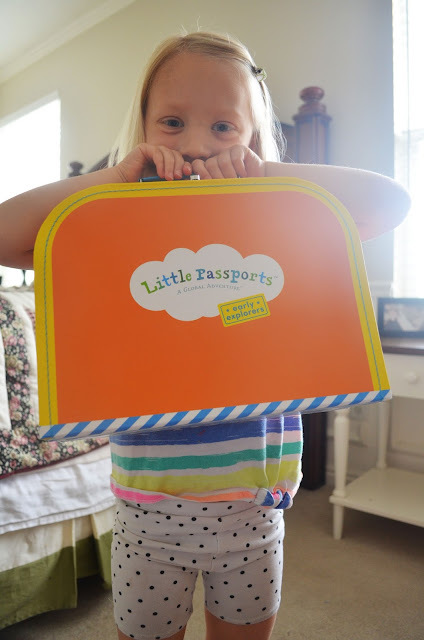 J even insisted on taking her Little Passports suitcase to the cabin the other day to show Grandma Ann. What I love about Little Passports is that, not only are the girls learning and begging to love more everyday, but I'm learning a lot too. It's great to have a little refresher on the different countries and their life styles. This is easily one of the girl's favorite things we have done so far this summer. They ask to look at it all the time, and I, quite frequently, find one or both of them looking at the map and activity book on their own. We can't wait to find out what will be in our next box! 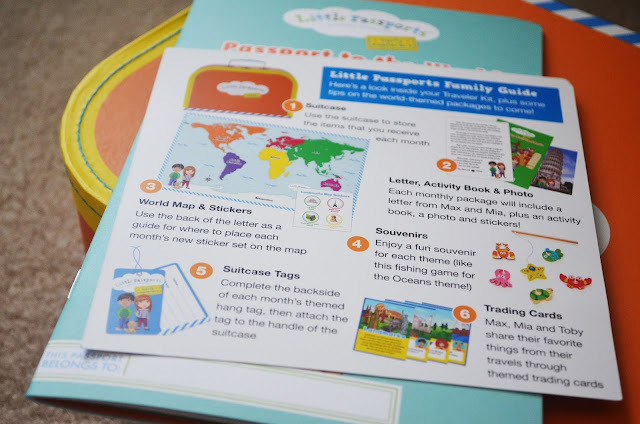 Little Passports would be a great way to help with homeschooling as well, or even to help your child in school. We are using it for the summer, but you can get a subscription for all year round. I'm a very hands on learner, and I can see this being very helpful and beneficial for anyone who needs a little help (or wants to learn more) with geography and history. 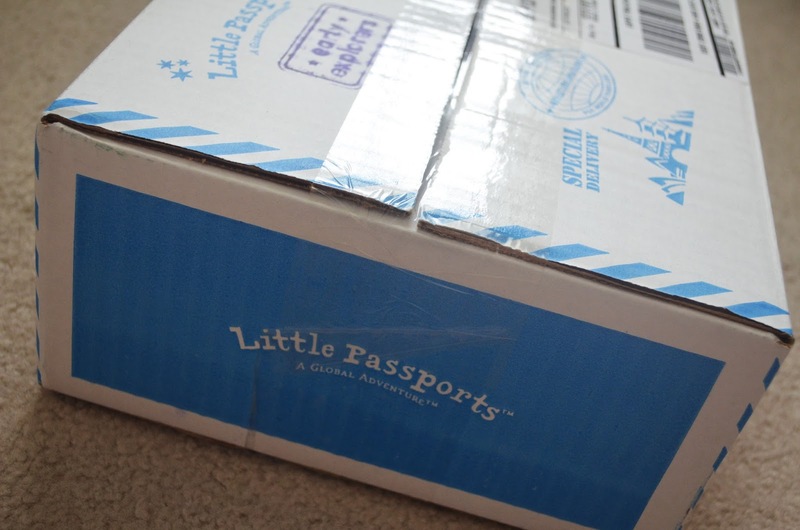 Right now Little Passports is even offering a special subscription for teachers to help in their classrooms. Each class room subscription comes with a 6 month subscription, 30 individual passports and sticker sets (so everyone in the class can have their own) and access to 6 digital teacher guides with bonus content for the classroom. You can gift your kids teachers with the class room subscription by clicking HERE. Right now, Little Passports is teaming up with Florida's Legoland Resort to give a family vacation for one lucky family. The winner will get a 2 night stay for 4 people at the Legoland Florida hotel, a family 4 pack of tickets to the Legoland florida theme park and water park, Round trip flights for 4 people, and two 12 month subscriptions to Little Passports! The giveaway ends on July 31, 2016, so if this sounds like a nice getaway to you, make sure to enter now! 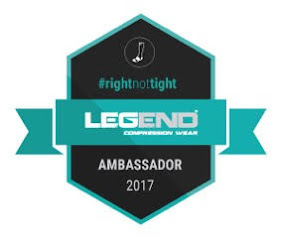 To enter now, click HERE. **this post contains affiliate links and I will receive a small commission if you make a purchase after clicking my link! 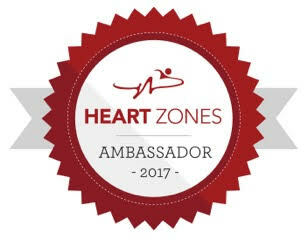 Thank you for your support and for reading. What do you do in the summer time to make sure your kids are still learning?